Branch offices are the growth engines of today’s enterprises. So when you consider that, on average, more than 50% of an organization’s employees are located in branch offices, nearly 50% of corporate data resides in them, and 50% of IT dollars are spent powering them, the overhead and investments seem reasonabl e.
But while branch offices and other remote sites are critical for productivity and revenue generation, they’re also a giant headache for IT to manage. Why? Because all of that data is often in high-risk places and subject to loss, and backups are expensive, time consuming, and inefficient. Same goes with provisioning new physical servers and sites or restoring offices if downtime occurs. And lastly, think of the people in these branches. Few of them are skilled IT pros who can actually help keep branch applications and services in tiptop shape. Spending all of this time, money, and effort managing branch IT makes you wonder if there’s a better solution. Good news – there is. And with today’s launch of Riverbed® SteelFusion™ 4.0, we can simply take a look at something we’re all quite familiar with to figure it out: our smartphones. Think about your smartphone for a minute. It’s a thin device, fully equipped with applications and access to data over the network, Internet, or cloud. Your mobile provider doesn’t tether you down with servers, storage devices, and backup infrastructure to run it. Your branch offices and other remote sites don’t have to be any different. Now with SteelFusion 4.0, which delivers the branch of the future by enabling 100% consolidation of data and servers from remote sites into data centers, with local performance and availability at the branch. But how exactly is this like your smartphone? 1. It’s simple and seamless: Just like your smartphone, SteelFusion is an all-in-one device. It eliminates the need for costly infrastructure at branch locations. WAN optimization, server virtualization, and storage delivery are all brought together into a single appliance for greater data protection, productivity, business continuity, and agility. 2. 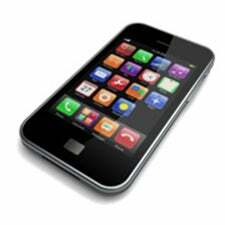 It’s rapidly deployed: On your smartphone, you can go to an app store and download, access, and use new apps in just seconds. With SteelFusion, you can provision and deploy new branch services and entire sites as quickly and as easily as spinning up virtual machines in your data center, leveraging all the rich capabilities available at the core of your enterprise. 3. It’s stateless: If you lose your smartphone or it breaks or crashes, you simply re-sync your data from the cloud to a new device with no loss. With SteelFusion, it’s the same way. Appliances can easily be replaced and recovered with virtually no data loss, as all of your critical information is centralized in the data center for 100% availability and continuous operations. 4. It’s centrally synced and stored: If you accidentally delete an app, photo, or other file on your smartphone, you can always retrieve it from the cloud. With SteelFusion, if you experience any data loss at the branch, you can always recover it from the data center. No more expensive, inefficient backup software and tapes, and backup windows shrink from 24 hours to just a few minutes. 5. It’s secure: You can protect your smartphone data by locking out would-be thieves with passwords, pins, and by installing security apps. 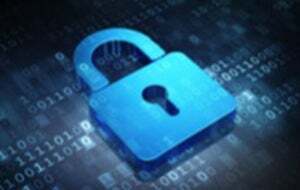 SteelFusion protects your sensitive data by housing it where it bel ongs – in the secure data center. 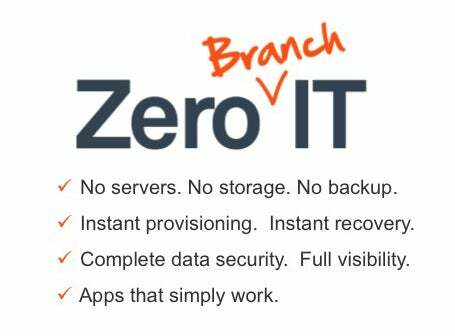 When data is stored in the branch, it’s also protected with AES 256-bit encryption and delivered securely using SSL. And with SteelFusion’s secure vault, data on stolen appliances or drives is inaccessible without admin authentication, further reducing the risk of data loss when in use at the branch. 6. It’s resilient: If you hit a dead zone and lose connectivity on your smartphone, your apps don’t stop working. You can continue to complete work, and all of your changes synchronize when connectivity is restored. It’s a similar story with SteelFusion, which is designed to tolerate WAN link irregularities or outages so productivity isn’t hindered. 7. It’s high performing: Simply put, users just expect apps on their smartphone to work. Why should your branch users expect any different? SteelFusion contains an integrated instance of the industry’s #1 WAN optimization solution, Riverbed® SteelHead™, which accelerates all user traffic in the branch across the optimal networks at the lowest cost. On-premises, cloud, and SaaS apps simply work, and your users stay productive. See? There is an easier, better way. Tap into this smartphone analogy and manage branch IT with Zero Branch IT. Learn more about the branch of the future by watching our recorded webcast. Tune in to hear industry experts discuss the challenges, successes, opportunities, and best practices in achieving maximum productivity at today’s branch offices. And be sure to visit our microsite and check out the links below for more information on how Riverbed is encouraging today’s hybrid enterprises to rethink the branch with Zero Branch IT.